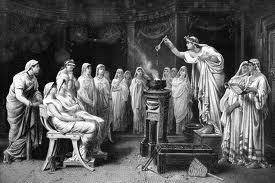 Ancient Roman Christianity: Religion was something that was very important for the Romans. 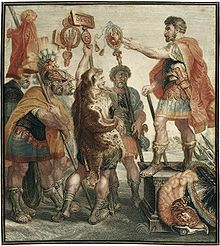 The Romans had a religion of their own. There was no central belief as such. There were a lot of rituals, traditions, superstitions, and taboos. The religion in Rome was less of a spiritual experience and more of a relationship that man has with the forces. Religion was something that influenced the state. There was the influence of religion on the political and religious framework of the society. It was within the Roman Empire, that Roman Christianity was absolutely banned and it was a religion that was not practiced by the people. In fact, Roman Christianity was punished for a number of years. It was an entertainment for the people to feed the Christians to the lions. People used to enjoy this site. 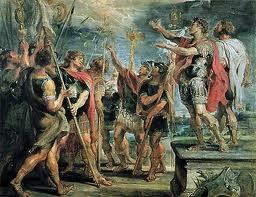 It was later, that the message of Christianity was spread in the Roman Empire by St Paul. He was also the founder of the Christian churches in the regions of Asia and also in Greece. The people who were among the early converts of Christianity faced a lot of problems and difficulties. The people among the first converts included the people who belonged to the lower class of the society. These people included the poor people who were slaves. It was so because there was a lot that they intend to gain from the fact that the Christians would be successful. It was in 64 Ad that the city of Rome was burnt down. The blame for the city’s destruction was completely put on the Christians by Emperor Nero. Since then the Christians started facing a lot of dangers. The Christian from then onwards had to meet in secret. They could not meet in public. What they did was that they built some underground tombs and these tombs were used by them for their meeting and another purpose. They remained quite out of sight and they were thus not noticed by the people. Slowly as the time passed, the number of people as a part of the Roman population started growing. Very soon after a lot of efforts, in 313 AD Christianity was made legal as a religion. They were also allowed to worship in public after that point of time. So very quickly churches were also built. The churches were built not just in Rome but also all through the empire. Very soon after some time, worshipping of other gods also became legal.